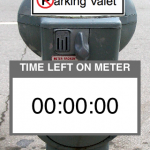 The Parking Valet allows you to keep track of the time left on your parking meter and helps you find your parked car. 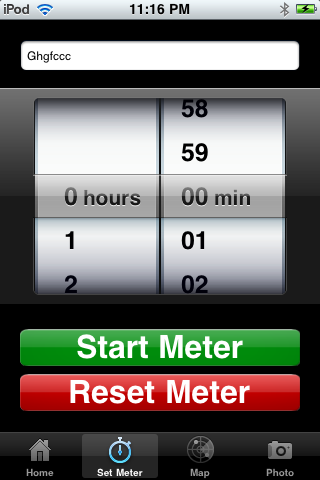 Set the timer and it will count down to when your meter will expire. The application's alarm will ring when the meter expires. 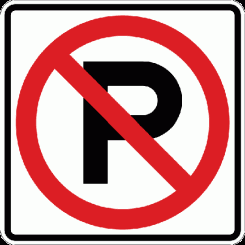 The Parking Valet will help you avoid getting parking tickets! 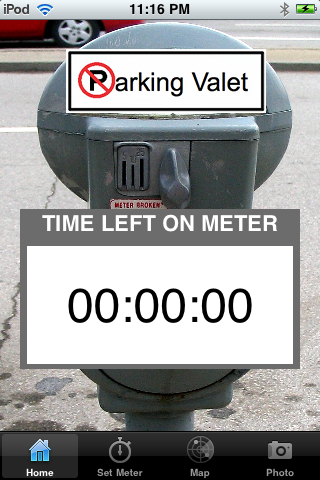 The Parking Valet allows you to keep track of the time left on your parking meter and helps you find your parked car. 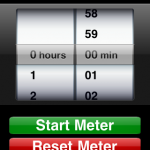 Set the timer and it will count down to when your meter will expire. The application’s alarm will ring when the meter expires. In addition, you can write a brief note describing where you parked. 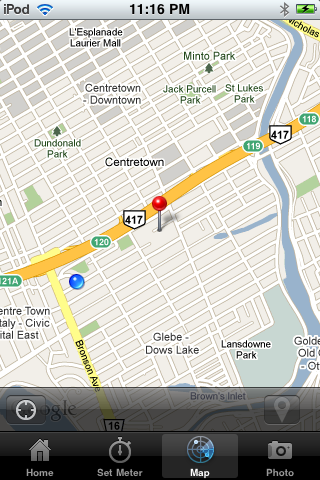 You can also take a picture of the location of your car. 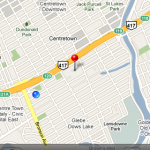 With Google Maps, you can mark the coordinates of your parking spot on a map so you can find your way back to your car. 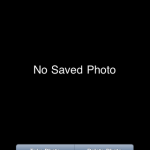 Works with both the iPhone and iTouch. 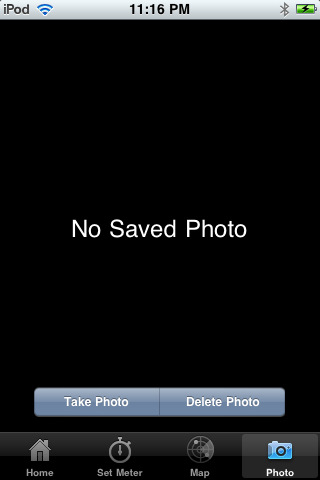 Camera and GPS features require an iPhone.